Tired of the hearing the term 'work-life' balance? Many women are. The term was coined to identify the conflicting demands women face. It was probably invented by women or a woman who wanted to get a message out: "we cannot do it all." In that regard, the term is somewhat sexist because it was not targeted at, or identified with men. When was the last time you heard a man say he needed a better balance in his life to take the kids to the park? And, why don't men seek more balance in their lives? If they were to pitch in more with chores and child-rearing, women might not be stretched so thin. The truth is, we live in a changing society where men, in fact, helping out than they did fifty years ago. There are more single dads today than even twenty years ago (single dads not due to being widowed.) Men are slowly becoming more openly nurturing and supportive of wives who want to go back to school. But this is done quietly, household by household - society at large has yet to accept that men are contributing more. Still, women continue to struggle with what is expected of them - or what they think is expected of them. Women strive to be super wives, super moms, and career women. All the while, they stress about getting older, gaining weight, and competing with younger women in the workforce. The phrase 'work-life balance' conjures up an image of a scale (something women are often at war with anyhow) with work on one side and family and/or other personal relationships on the other. In the middle is the woman with both arms extended trying to balance everything. The woman represents the stabilizer caught in the middle being divided her life into two parts - where she feels she should be and where society says she should be. But a woman is a whole being and the focus should be on her as a whole being and not on just two (important) aspects of her life. The 'this or that' definition of 'work-life' seeks to define women as servants in two entirely separate roles: workers or caretakers. Women perform these (and many other) roles but they should not be made to represent the embodiment of these roles. Work-life balance has been sold to women as being the key to happiness by suggesting all we need to do is to simply find a way to better fill our roles without going crazy. The bottom line message being (unfairly) sold to women is that if we would only prioritize our work lives better we would have more time to spend with friends, family, and on ourselves. The trouble is, accomplishing more personal time requires a significant amount of work and the term 'balance' becomes moot. Very few people can or would want to spend half their time working and half their time not working. There are plenty of women who do not have a job outside the home that need more balance in their lives. And, what about the career women who love their work so that trying to add more time (balance) baking cookies at home would be to their detriment? 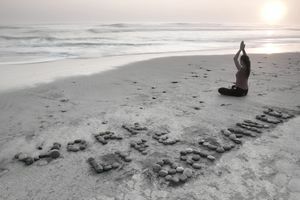 The very term work-life balance implies that there is a balance to be had in the first place (there is not) and if we do not have it something is wrong with us. Work-life balance is just one more task for women to try and find time to tend to; one more thing on our long to do list to fail and feel bad about not accomplishing in a day. To think we can achieve better work life balance by simply being more prioritized, better organized, or by trying harder, is foolishness at best.